It can be tough for busy parents to stay on top of their finances and just as tough for them to find time to teach their kids about money. However, there is one Arizona-based company that is offering a way to do both. 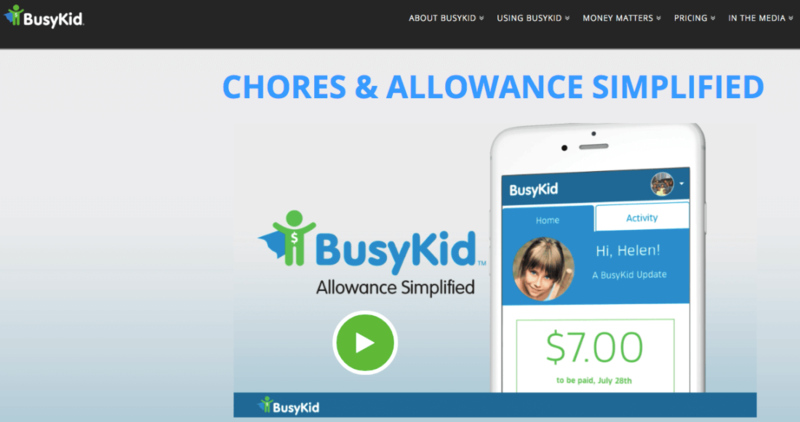 With BusyKid, chores, allowances and finances all come together into one easy solution. RewardExpert recently had the opportunity to speak with the co-founder and CEO of BusyKid, Gregg Murset, about the advantages his company provides to both parents and kids. “BusyKid is the only app that allows a child to earn, save, share, spend and invest real allowance,” said Murset. Murset, a father of six, saw a need to try and fix the problem and started his company in 2011, first under the name My Job Chart, and then rebranded as BusyKid in 2016. He wanted to develop a solution to help kids learn how to become financially literate and responsible. BusyKid helps parents keep track of their kids’ chores, pay them an allowance and teach them basic financial principles. My Job Chart became one of the first online chore and allowance apps in the U.S., and one of the most popular tools for parents to teach their kids about work ethic and managing money. When asked how BusyKid stands out from competitors, Murset noted multiple reasons. • Experience: BusyKid began in 2011 as My Job Chart, which had nearly 1 million members. The leadership team then and today has a vast understanding of the bigger issues that need to be addressed, such as bad work ethic, lack of financial education, poor spending habits, etc. • Ability for kids to learn investing by buying fractional shares of real stock: BusyKid allows a child (and sometimes a parent) to buy fractional shares of stock from some of the most popular companies. • Desire to change how chores and allowance are viewed by parents: Other companies have built apps to only make money, while BusyKid is working to help change how parents view chores and allowance to help them see it as an educational tool to help increase financial literacy. Another important piece of the BusyKid puzzle is the donations to charity. You can have your kids choose which ones they’d like to support. Murset explained that it’s critically important for children to learn to be generous through money or time. He said they should understand that it’s good to help others. BusyKid also offers the BusyKid Visa Prepaid Spend card, which provides all the benefits of a real prepaid Visa debit card, but allows parents to control how much money is placed on it. “BusyKid is built so kids can learn from mistakes now,” said Murset.